Is India still a democratic state? Today I read this news of MNS disrupting the screening of movie “Wake up sid”. This time MNS have found the problem in the movie because in the movie the city of “Mumbai” has been referred as “Bombay”. How heinous, inhuman and unpatriotic crime committed by producer/director of the movie right? Well, height of MNS’s Goonda raj!!! 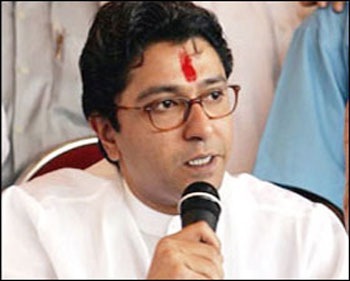 It seems like Raj Thackeray is running parallel government and he is above the judicial system of the Republic of India. Government of Maharashtra is just seeing all this as a silent spectator. At the same time the height is KJo is rushing to beg the pardon from the court of self made messiah of Marathi Manoos Raj Thackeray. What a shame for India democracy? Why KJo opted to kneel down in front of Raj instead of going to government/police for the protection? I don’t think his production house has committed a crime by referring Mumbai as Bombay. Doing such thing is not offence in the eyes of court. (Someone please correct me if I’m wrong). It’s election season and Mr. Raj knows very well that he has to be in news to misguide the illiterate, poor and hungry people of Maharashtra. I’m so upset with the whole incident. If I have been in power in Maharashtra, I have put Raj and all his goons behind the bars for this. Well, I’m afraid to write this but after this incident India is no more democratic state and people don’t exercise their basic constitutional right, the freedom of expression. Instead of saying “Wake up sid”, its time to Say “Wake up Indians”!!!! Today on IBNLive, I read interviews of Thackeray bros (Raj and Uddhav) given to Rajdeep Sardesai. The interview is here “Thackeray v/s Thackeary”. From interview, it is pretty evident that the lil bro has gone insane. He wants to create separate country within country with ideas like issuance of work permit, separate language, reservation for localities, etc. Lil bro feels like mumbai uske baap ka hai but people should make him understand that Mumbai belongs to Indians. With Maharashtra elections around, all the sympathizers of “Marathi Manoos” has crop up. But does anyone really cares about what Marathi Manoos wants? No one cares about basic necessities like Roti, Kapda aur Makan of Marathi Manoos. Mumbai is collapsing and infrastructure is pathetic. But none of the party is ready to fight election on development. All political leaders across the party sucking the blood of Mumbaikars and giving them pathetic life style. Scenario is so depressing that if I have been in Maharashtra and If I had to vote, I would have abstained from voting. None of the leader their deserves to get my vote.